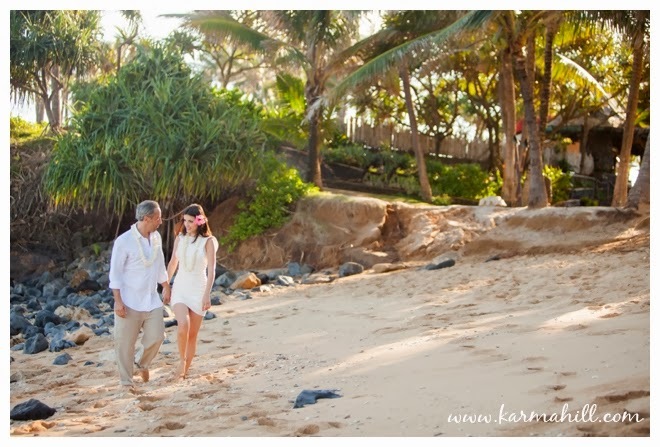 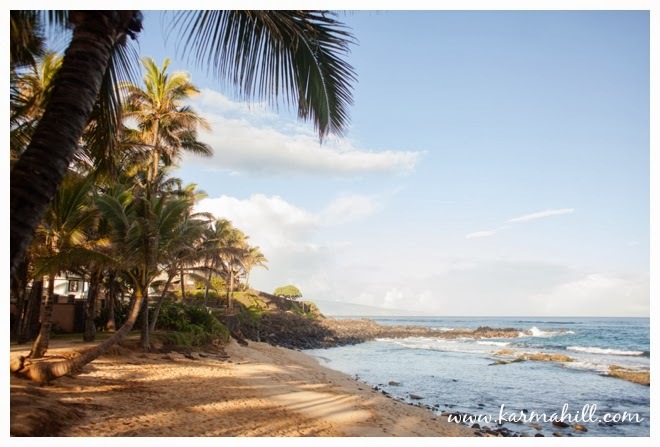 We met Ani & Patrick for their Maui elopement at Mama's Fish House Beach. 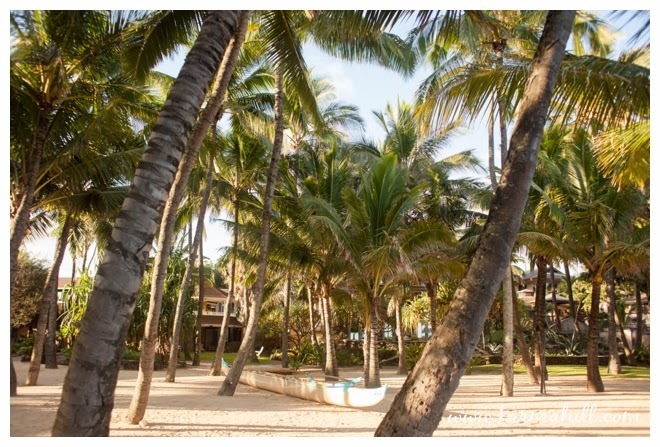 This beach has so many beautiful palm trees and the bright morning sunshine was pouring through the palm branches. 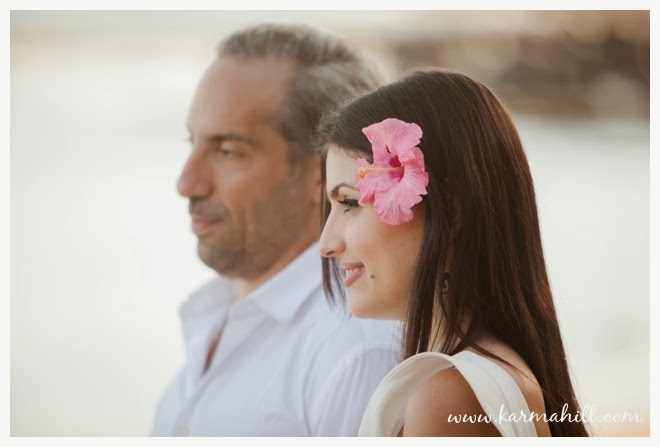 We claimed a romantic little spot at the far end of the beach and Reverend Valentine Rosete performed an intimate ceremony for this sweet couple. 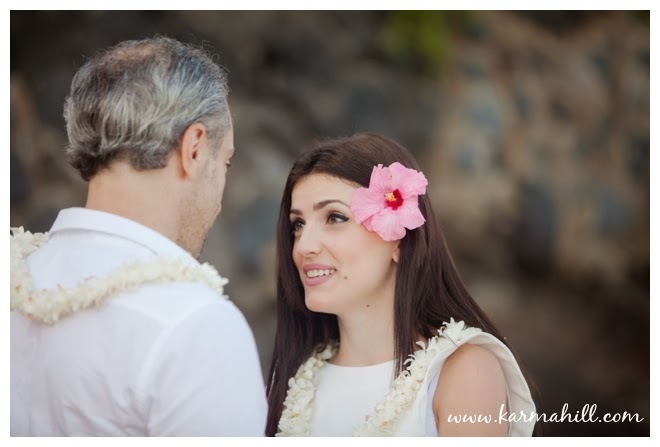 They were also serenaded by a Hawaiian ukulele player and all of us were swaying in the sand — you just can't keep still when you hear that happy music and the waves are crashing at your feet. 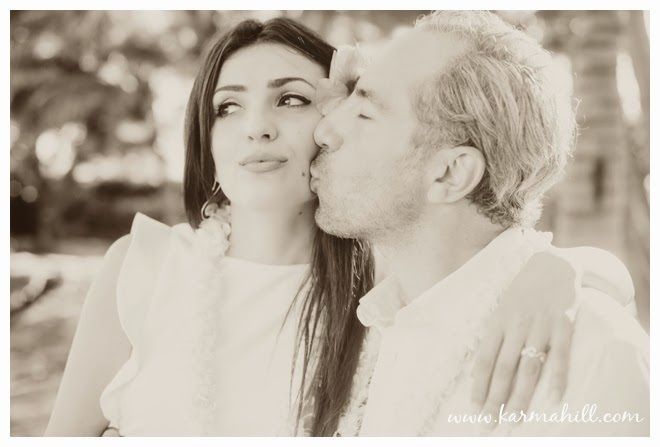 Such a magical moment. 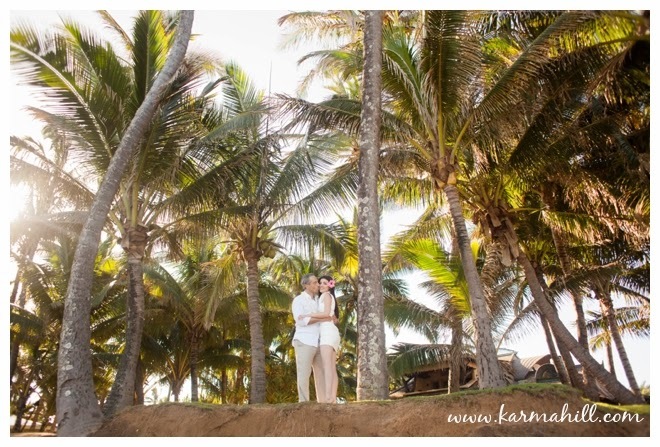 After their ceremony, we took Ani & Patrick up into the little palm tree forest for some tropical inspired couples portraits. 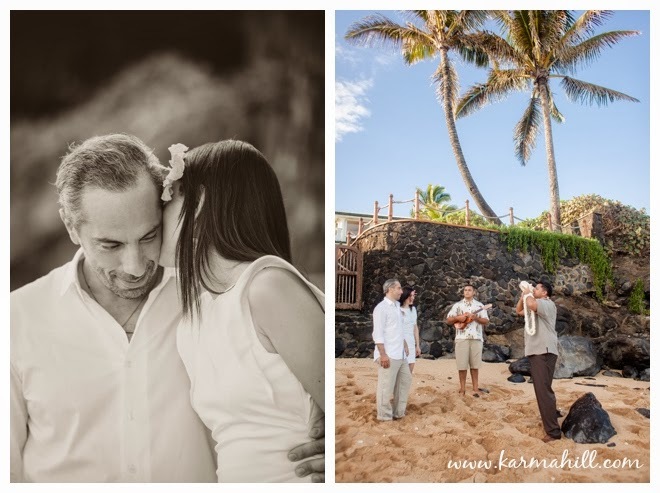 Thank you so much Ani & Patrick for choosing Simple Maui Wedding. 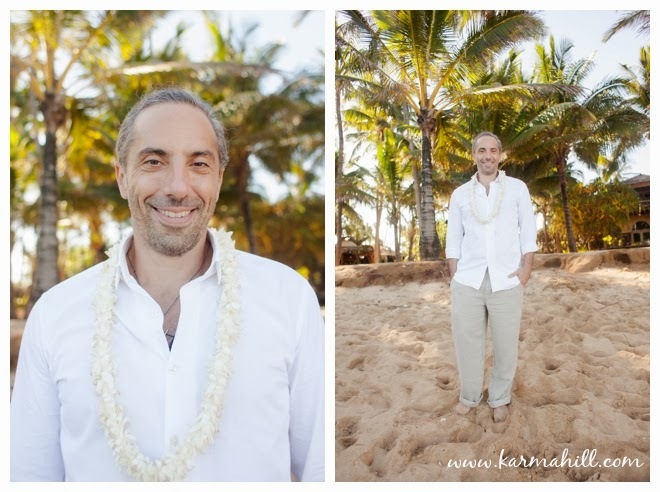 We hope your time in Maui has been wonderful and we wish you all the best! 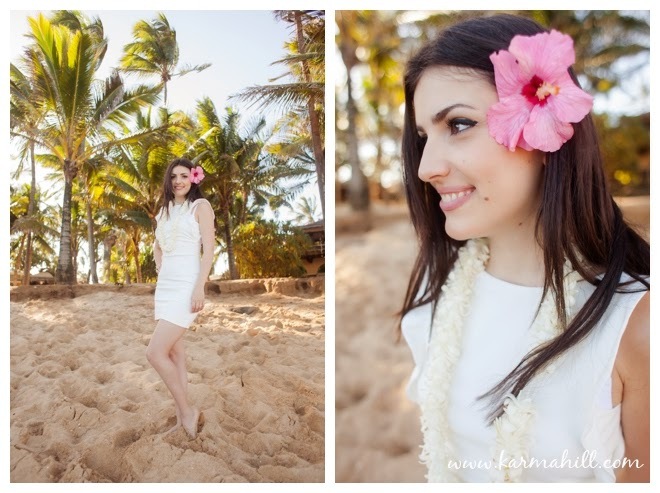 Check out our last wedding with Emilee and Rodney at Ironwoods Beach.